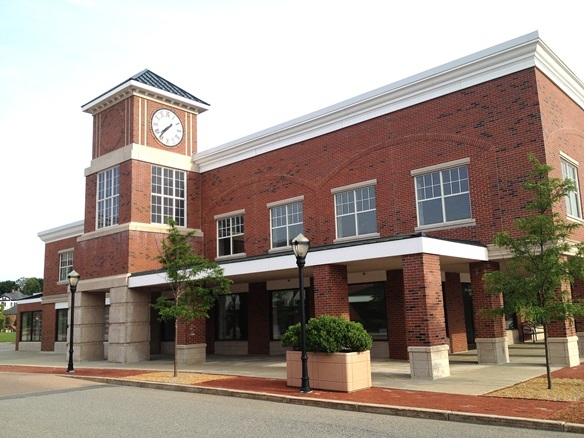 The Worcester Regional Transit Authority (WRTA) and the Town of Westborough have worked together to plan and operate commuter transit service from the Westborough Commuter Rail Station to the Westborough Office Park. Since December 2, 2013, transit service has been available for out-of-town commuters, but also for local residents along East and West Main Streets to destinations such as the Westborough Senior Center, Bay State Commons, and the Westborough Public Library. 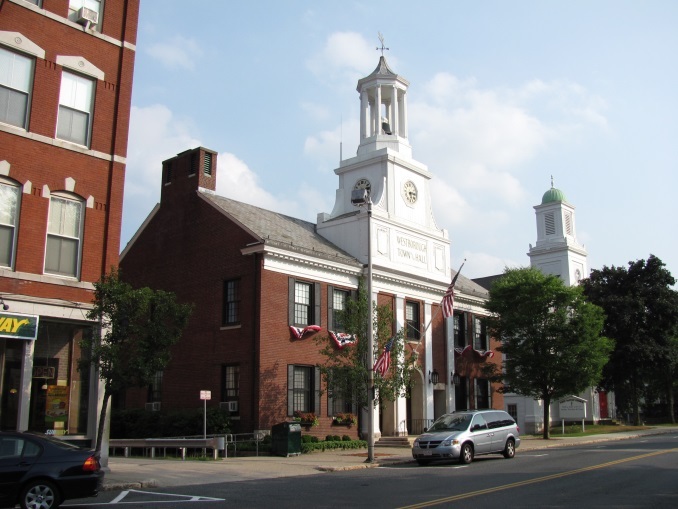 In June 2014, a 'Downtown Commuter' service launched for local residents in the Downtown area to get to and from the Westborough Commuter Rail Station with two morning trips and one evening return trip. The Westborough Shuttle provides service as three distinct types: "Commuter Route", "Downtown Commuter Route", and "Local Route." 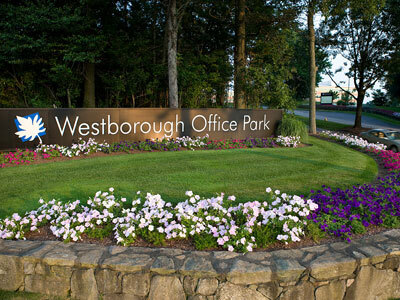 The "Commuter Route" provides direct, limited stop service from the Westborough MBTA commuter rail station to the Computer Drive/Research Drive Office Park areas using Otis Street and Route 9. Trips via this routing are provided with two morning trips, one midday trip, and two evening trips. "Flag stops" are not provided along any other portion of this routing. "Flag stops" are only available on the local route. 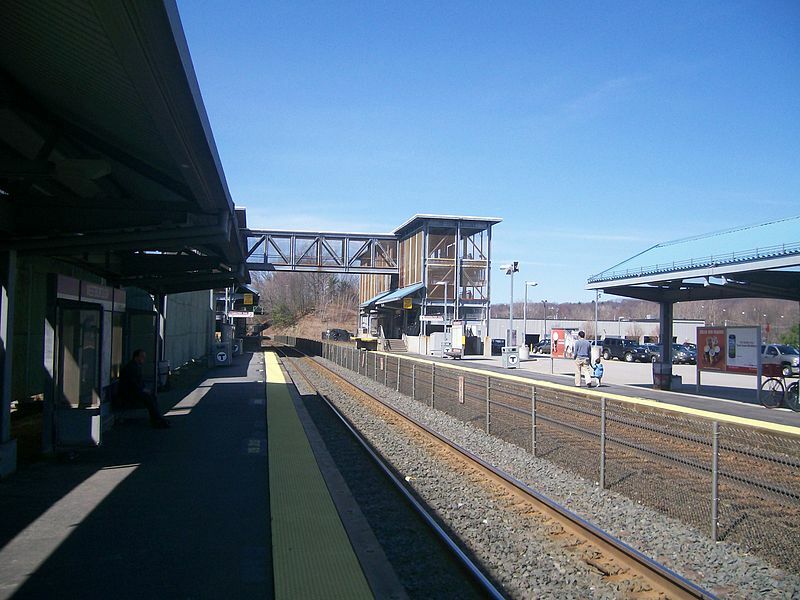 The "Downtown Commuter Route" provides direct, limited stop service from Bay State Commons via East and West Main Streets, Church Street, and Fisher Street to the Westborough MBTA commuter rail station. Trips via this routing are provided with two morning trips and one evening trip. Passengers may board the shuttle during the morning and afternoon trips at Bay State Commons, the corner of West Main Street and Church Streets or the Westborough MBTA commuter rail station. "Flag stops" are not provided along any other portion of this routing. "Flag stops" are only available on the local route. The "Local Route" provides service between the Route 30 McDonalds and the The Grille at the Westborough Country Club along East and West Main Streets. 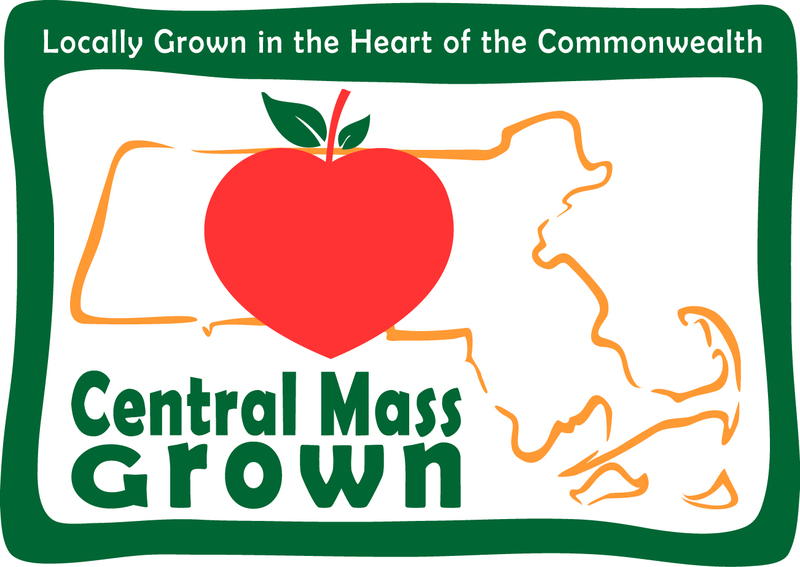 Other destinations along this routing include Bay State Commons, Westborough Senior Center, Westborough High School, Westborough Town Hall, the Westborough Library, and the Westborough Post Office. These trips are provided during the day when commuter trips are not provided. "Flag stops" are provided along any portion of this routing. Bus fare is $1.75 full fare and Senior/Disabled cash fare is .85¢. Cash can be paid on the bus. The "Local Route" runs on a "flag system" (no bus stop signs), so the bus will stop in a safe location to pick-up and drop off passengers when the bus is waved down. Service will "flex" for passengers who qualify for Americans with Disabilities Act (ADA) service on the "Local Route" only. 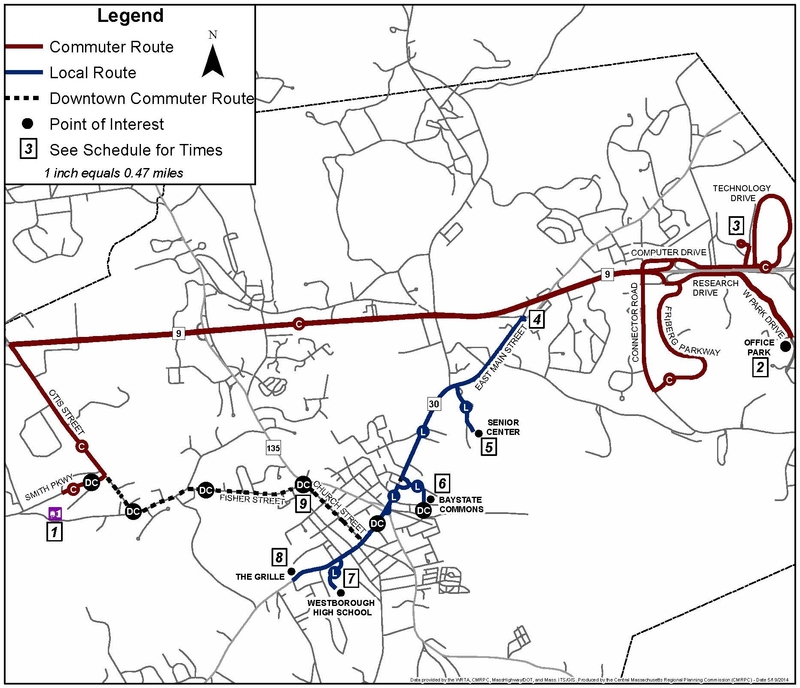 Printed schedules for the route are available at various locations in Westborough and on the WRTA's website at the www.therta.com.